I decided I am going to ocassionally post on the blog to try and break some of all this techno blabber into laymans terms. Heres one of my first posts. Its a small part of why i hate 'diet' or 'low fat' foods, which branches off into many other things, so for today I will keep it nice and simple. 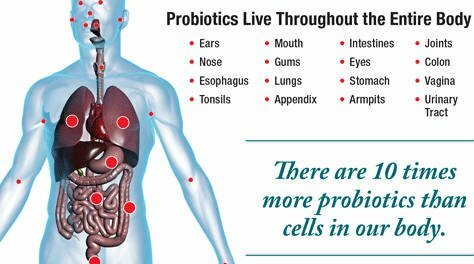 Probiotics... ok so what are they? Simply put they are organisms such as yeast or bacteria. However unlike most peoples perception of bacteria, these guys are helpful and help us keep healthy and well. The digestive system has around 500 different types of bacteria and they all perform functions such as keeping the intestines etc health and allow us to digest our food. They basically help and form part of our immune system. Hence forth, the probiotics are good guys. So low fat foods are good too right? Well layman terms are now going to come out. Sugar. Your body is designed to utilise, assimilate and break down sugar. Cool, right? So we have all these 'low fat' food choices and 'diet' foods that are low in fat and sugar. So thats got to be a good thing right? These foods nearly all use 'processed' sugars or chemical alternatives to sugars that claim to have little to zero calories. That sounds amazing. Except when you realise that the human body is designed to utilise and convert natural enzymes, proteins, sugars etc. It was never designed to utilise chemical alternatives. This includes such things as tea and coffee sweeteners. Firstly lets look at a few reasons why and then lets go full circle and get back to those probiotic fellows. Your body is designed to digest and utilise sugar in 24 hours, but when it comes to these artificial alternatives, that can be as long as 4 days as your body simply cannot digest this chemical additive. If you eat this kind of food regurlarly you will notice a change in toiletry habits and a massive strain will be placed on your digestive system over time. OK so two good reasons. What about these probiotic chaps? You know the smelly substance they put in swimming pools that stings your eyes when its a little over zealously put in? Thats chlorine, a kind of bleach that kills bacteria. Hold on? Arent probiotics bacteria? What else contains chlorine? Council pop. Or TAP WATER. Do you have a chlorine filter on your tap? I do. I have one of those large fridges that has a water and ice dispenser on the side and its got an inline chlorine filter fitted by moi. This helps filtrate the levels of chlorine that I get in my glass when i pour myself a drink and protects my tiny minute Probiotic champions so they can get on with their important job and keep me healthy.